According Square Enix game designer Tetsuya Nomura, Final Fantasy XIII will be playable. His title, Final Fantasy Versus, won't be anywhere to be seen, however. Unlike last year, Square Enix will not be screening trailers for upcoming titles like Final Fantasy Versus XIII and instead will be focusing on playable demos for titles due out in the next year. That apparently means no new trailers, screens or footage of Final Fantasy Versus XIII, Final Fantasy Agito XIII or Parasite Eve: The Third Birthday. 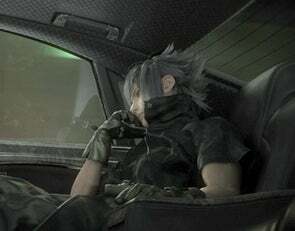 Final Fantasy XIII is slated for this winter in Japan, while FF Versus XIII still is TBA. Surely, people can make due with a new FFXIII demo, no?